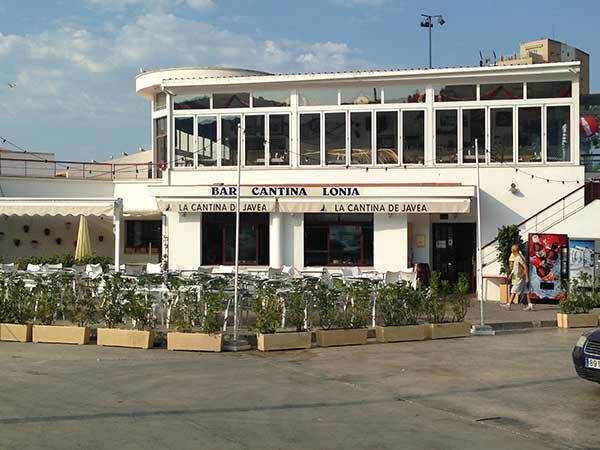 You can get the best and freshest seafood in Javea - and part of the reason why is that they have their own fishing fleet. A lovely way to spend a morning in Javea is to go down to the Port and watch the boats come in. There is loads of parking down at the Port and also a cafe where you can have a coffee while you wait for the fleet to come in. 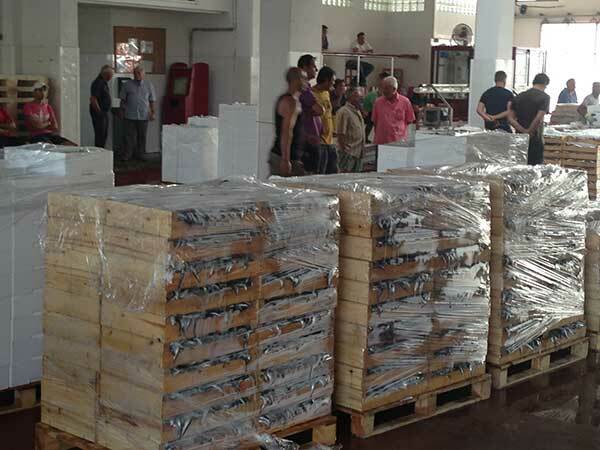 Once they have off-loaded the fish it is straight into the market (El Posito - you may notice this is the name of a restaurant in the port - named so because it was the old rtepository for arriving fish before the new indoor market was built). 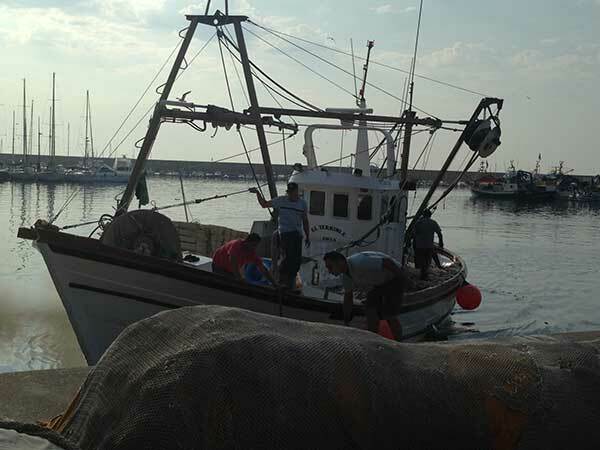 The fishing fleet play an important role in the economy and cultiral life of Javea. They raised the funds for the ultra modern Church you can find in the Port area. 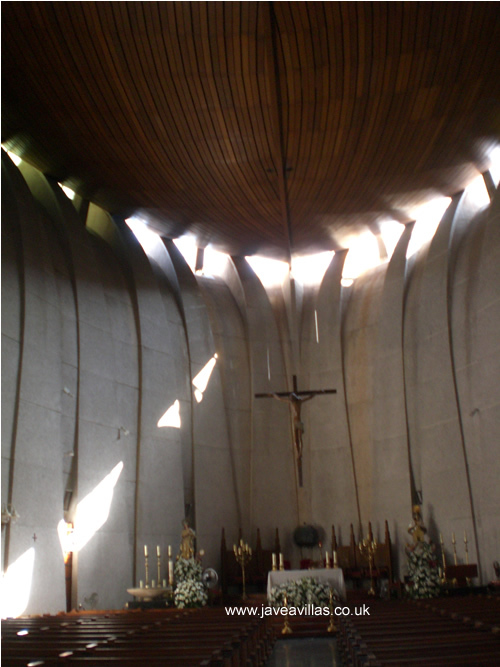 Nuestra Senora de Loreto (click the link for a pic that opens in a new window) was built in 1967 - and it's roof is in the shape of the hull of a boat. The story goes that the fishermen, storm tossed at sea and feeling hope ebb, promised that if they were saved they would raise funds for a new Church to Our Lady. 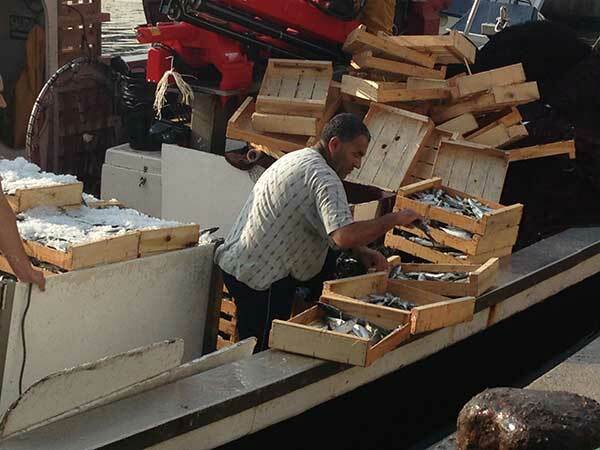 So there you have it - a lively and thriving small fishing fleet - check it out.